Unity’s original Boulder monitors were impressive to begin with, and now they’ve been given a number of major improvements. As relative newcomers to the professional monitor market, Unity Audio have, in just five years or so, developed a very strong and well–deserved reputation for the quality of its Rock (two–way) and Boulder (three–way) sealed–cabinet reference monitors. I reviewed the original Rock speaker back in April 2010, and it subsequently gained an upgrade to MkII status a couple of years later, with a retro–fittable modification to the LF amplifier, which delivered greater bass extension and SPL capability. There aren’t many monitor manufacturers that support their early-adopter customers when they introduce significant product upgrades, so Unity Audio are to be commended. The original three–way Boulder was reviewed in SOS in August 2012, and I was greatly impressed back then with its technical performance and value for money. However, a few years have passed now, and the Unity design team have been tinkering away in the shed to enhance that performance even further. The MkII model was launched in the second half of last year, and offers greater bass extension and a higher SPL capability than the MkI. This time, however, the upgrade involved considerably more than a simple amplifier amendment. To the casual eye, the MkII might look little changed from the original but, in fact, what you are looking at here is a completely new cabinet and brand–new bass drivers — both being slightly larger than those of the first model. The Boulder MkI employed the same shiny, aluminium–veneered, ELAC 6.5–inch (180mm) bass drivers as the Rock monitors. However, the revised design employs a pair of very high–performance, eight–inch SEAS drivers instead. 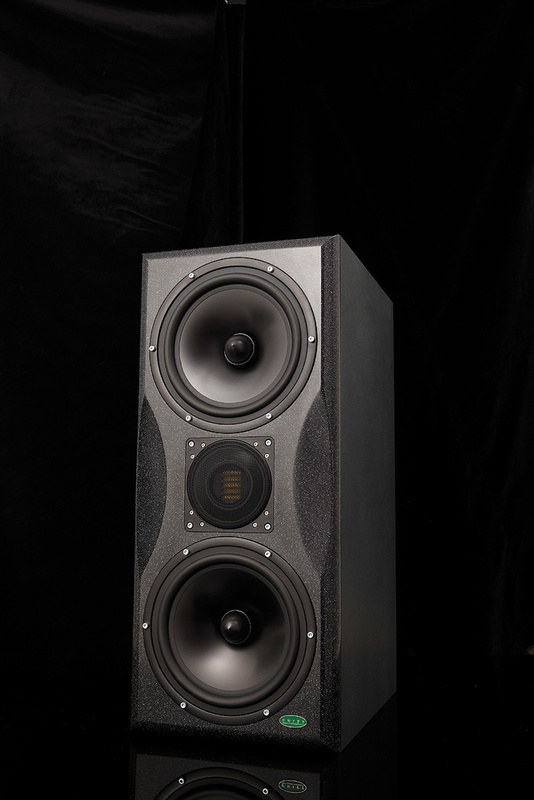 Although fairly conventional–looking, the cones are actually made from black aluminium, with a similar sonic character to the original ELAC units. The excellent ELAC combined five–inch mid–range ring–radiator and coaxially mounted JET III folded–ribbon tweeter are carried over from the previous version, as is the crossover and the four discrete bi–polar and transformer–coupled Class–AB amplifier modules. However, the MkII amp chassis incorporates a new PSU design, and the audio input card has also been tweaked, with new buffer stages using high–quality Burr–Brown and Analog Devices op amps. A switchable fourth–order protective high–pass filter, rolling over at 26Hz, has also been added, with a push–button and LED occupying holes on the chassis plate that were blanked off on the MkI. The same ±2.5dB boost/cut toggle switches for the mid–range sensitivity and HF shelf EQ (10kHz) have been retained, along with an input sensitivity knob and XLR input. Together, the new bass drivers and crossover tweaks increase the SPL capability by 4dB (to 117dB at 1m on axis), and lower the –3dB roll–off point to 33Hz (from 39Hz). Even more impressively, the response remains within a 1dB tolerance between 40Hz and 28kHz. Needless to say, the cabinet has had to grow a little to accommodate the new drivers, but its construction is identical, with 18mm Baltic birch plywood panels on five sides and a 30mm Corian front baffle. The revised dimensions are 268 x 614 x 390 mm (WHD), which amounts to being 12mm wider, 65mm taller and 22mm deeper — and it has gained 5kg in weight to tip the scales at a fraction under 28kg. Astonishingly, despite the major changes involved in the MkII version, Unity Audio are offering a reasonably cost–effective upgrade path for owners of MkI Boulders, just as they did with the Rock upgrade. This time, though, only the mid–range/tweeter driver and amplifier chassis are retained from the original, with these components being installed into a brand-new cabinet with new bass drivers, power supply and input card — all for an upgrade price, in the UK, of around £1500. Unity Audio’s revisions to the Boulder have managed to improve an already superb monitor loudspeaker. The extra SPL capability will matter to some, no doubt, as will the slightly more extended low end — although the inherently gentle roll–off associated with the sealed-cabinet design means more really low–frequency energy in the room than with a similar ported design anyway. But for me the most significant improvement — albeit a fairly subtle one — is the more linear lower mid–range region, which seems slightly more consistent, a little more natural–sounding, and even more revealing and transparent than on the original model. 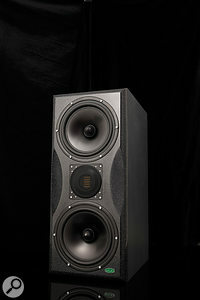 A brand-new pair of Boulder II monitors costs roughly 25 percent more than the original Mk1s did, but these remain a very attractively and competitively priced reference monitor, costing significantly less than most comparable–performance models such as the ATC SCM50A SL Pro, Barefoot Micromain 27, BlueSky Sat 12, Geithain RL903K, the new Neumann KH420 and SP Acoustics’ SP25MA. Of those, the Barefoot, BlueSky, and SP Acoustics models are also sealed–cabinet designs, the others being ported. A significant improvement over the original. Easy upgrade path for MkI owners. Only the price — although that is commensurate with the quality. A worthy upgrade to the original design, with improved transparency in the all–important mid-range. £6600 per pair including VAT. $7998 per pair, excluding taxes.